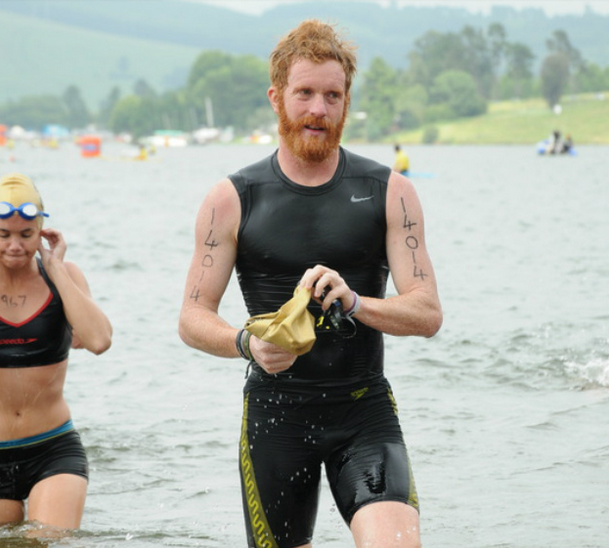 The Midmar Mile - the world's largest open water swimming event. 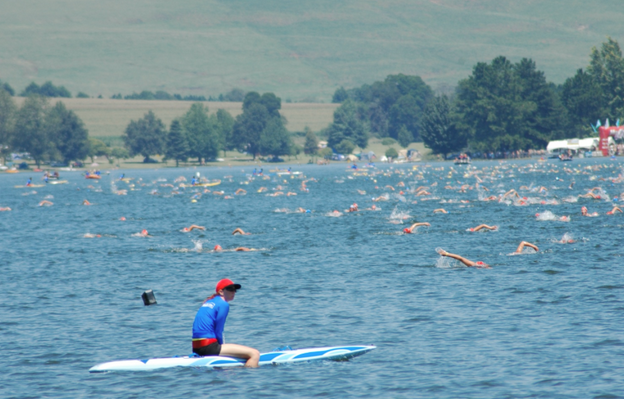 Every year 14,000 people descend on Midmar Dam in South Africa to swim 1 mile from shore to shore. It's a great event. I did it 18 years ago and it was in fact the last proper swim I did before Swimming Britain and probably had a big influence in my endurance activities of late. When I was asked to do it this year I jumped at the opportunity. This time though I was going to do all 8 events over the two days. 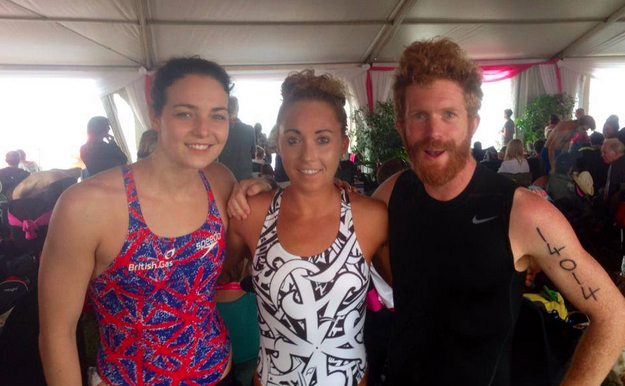 As an added bonus I'd have some pretty impressive swimming buddies joining in on the action too. Here we have Keri-Anne Payne and Lexie Kelly. For this who don't know who they are, Keri-Anne is double world champion and olympic silver medalist in the open water 10km event. Lexie is a professional marathon swimmer and competes in ridiculously long events that are sometimes over 80km (50 miles) long. Yes, 50 miles in one go! Bonkers! I had never met either of them before Midmar and was looking forward to a fun weekend. The beginning of each race is always a bit hectic. The girls, being proper swimmers usually pushed their way to the front so they could get ahead of the rest, which they did. I however decided to wait for the first wave and take a leisurely swim. I wasn't looking to break records. I just wanted to enjoy swimming in warm 24 degree water. It was glorious. I thought by telling Keri-Anne a joke before the start would lead her into a false sense of security and she'd let off the pace and I'd beat her. . .
As you can see this didn't work at all and she was ahead of me within about 1 second of the start gun. Keri-Anne and Lexie dominated most of the races and Keri-Anne even came a close second in her main event, even after doing 6 events beforehand. All this on her 'rest year'. Amazing! So this is how the races began. A blur of arms and legs all over the place. It's quite normal to get kicked, or kick someone. 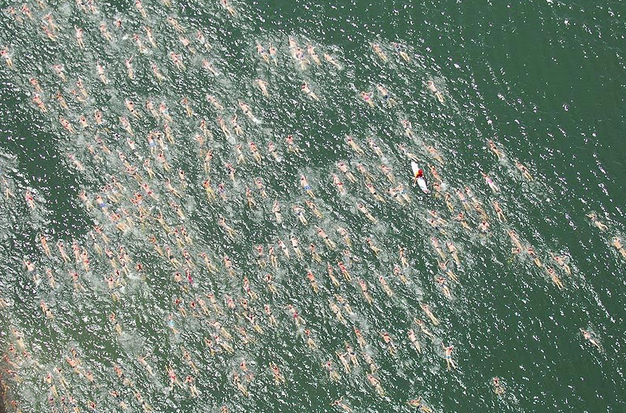 Swimmers soon start to spread out. I'm near the front obviously. Not really! Mid way I think. 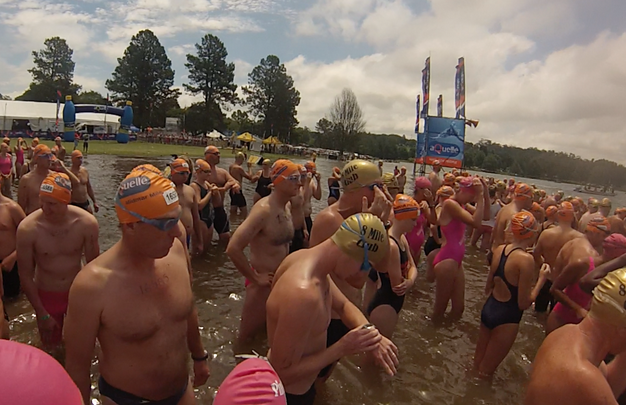 Each race has about 2000 people in it so it can get quite busy in the water. 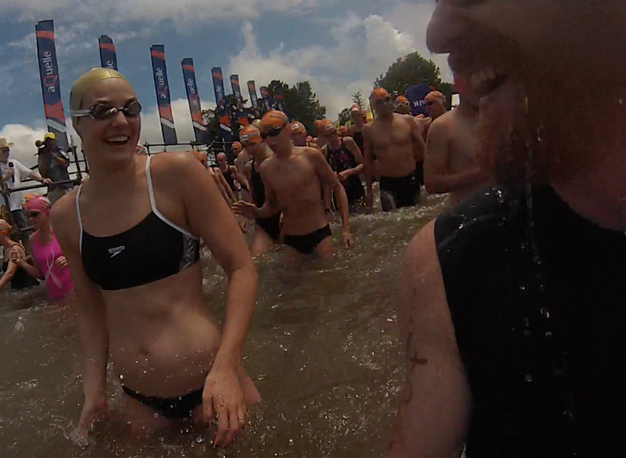 All three of us were swimming for Rhinos and here Lexie and I are wearing our Save The Rhino brackets. Saving Rhinos is something I am very passionate about. So that was it. A great weekend spent in the sun doing some swimming for fun. After about 30-40 minutes I finished each race. Yes, that is really slow in case you were wondering. As I said. I was just there to have fun.